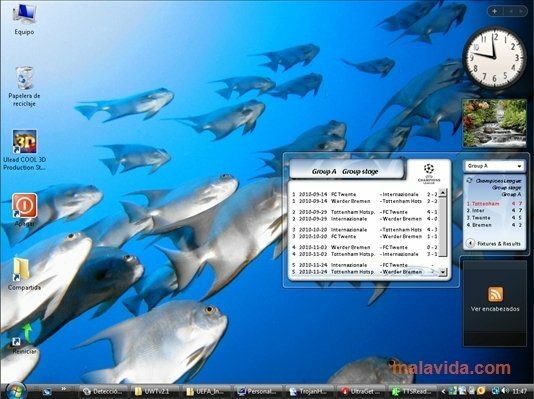 UEFA Informer Gadget is a complement for the Windows widget bar, with which you will be able to receive all the information about all the most important European football competitions. 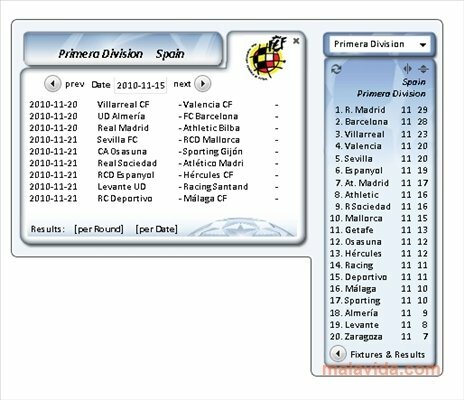 This development will show the standings of each of the leagues, the results and fixtures. This simple application has information about the competitions that take place in England, Spain, Germany, Italy, Holland and France (six of the most important European leagues), as well as including information from tournaments from over 35 countries more. It also offers us the possibility to view the results from the Champions League (the most important club competition in Europe) or the Europa League. The interface is very clear, and it integrates into the Windows sidebar, not being annoying at all, and only showing the information when it is asked for it. If you are a great football fan and you are looking for a complement with which you will always know all the latest results from the most important European leagues, download UEFA Informer Gadget.